The Star in Frisco, Texas is where anyone can become a Dallas Cowboy for one day. When is the last time you toured a world-class event center and walked away feeling like you were one of them? I am one of those seasonal NFL fans, as it’s not a high priority of mine, but I am aware of who is usually playing from the vibe I get from my own living room. 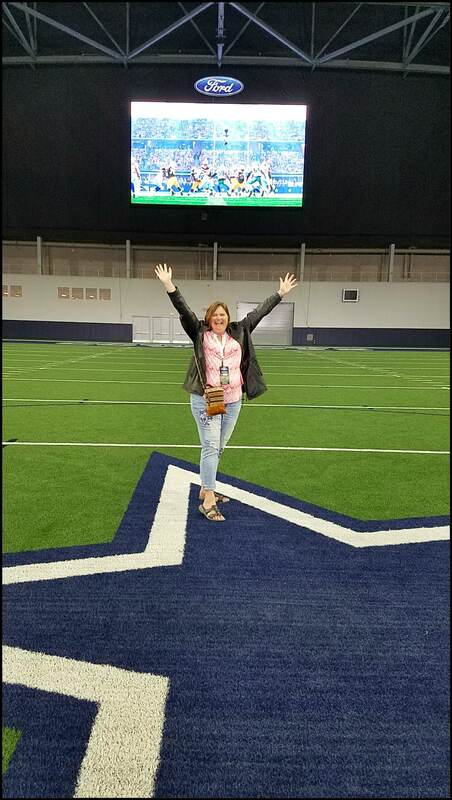 I loved how I felt after leaving The Star in Frisco, as I felt like I was one of them, a Dallas Cowboy! When I was invited on a VIP tour to explore this facility, I quickly regained some enthusiasm for the NFL. The Dallas Cowboys World Headquarters is located in the Ford Center at The Star in Frisco, Texas. The Cowboys train here 365 days of the year. One of the highlights of the tour was a view of The War Room, where the annual NFL Draft is conducted. Reminders of success throughout the years were literally found around every corner. Due to the fact that The Star is an actual NFL training facility video, food & drink, and bags are restricted. Be sure to review the Security and Bag policy before you visit. It is not uncommon to see Dallas Cowboy present players and past players during your tour. No photos or interviews are allowed, should you encounter them. A glimpse of the weight room found several Dallas Cowboys working out during the morning of the group tour I was on. The uniforms have changed a lot over the years, as time marches on. Displays throughout showed some of their full uniforms, helmets and how football has continued to evolve. I loved the fact that this practice facility is shared with local high school students, which speaks volumes for the community that The Star is located in. Frisco, Texas is a growing town that supports youth activities through the use of this facility. 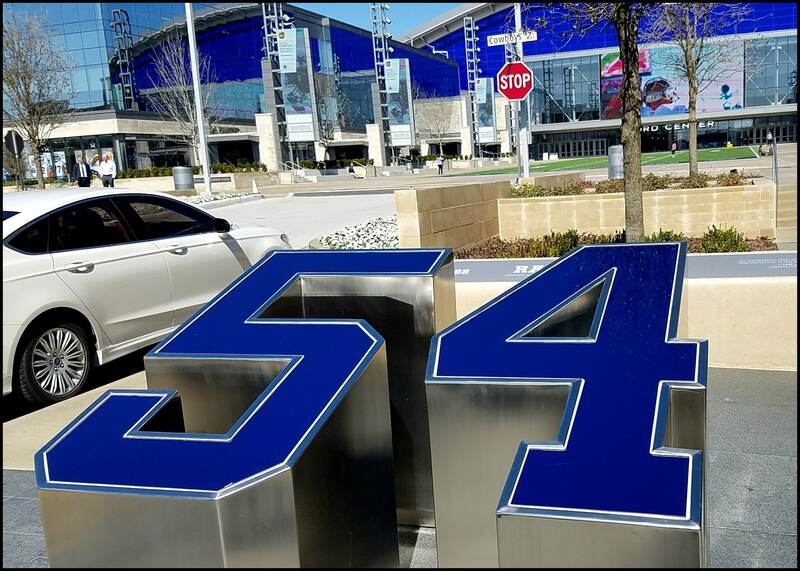 Parking is located within a couple blocks of the entrance and offers a shopping area filled with Dallas Cowboy fun and restaurants to please your taste buds. Do you want to tour this world class facility and become a Dallas Cowboy for a day? Order your VIP tour tickets and experience the fun, as I did. The tour is handicapped accessible and the group I was in did have a person in an electric scooter, who navigated the tour successfully. There was also a seven-year-old in the tour who enjoyed every moment of it. What are you waiting for? Schedule your tour today and enjoy the fun! *Thank you to The Star and Frisco, Texas for hosting me during my stay in Frisco. 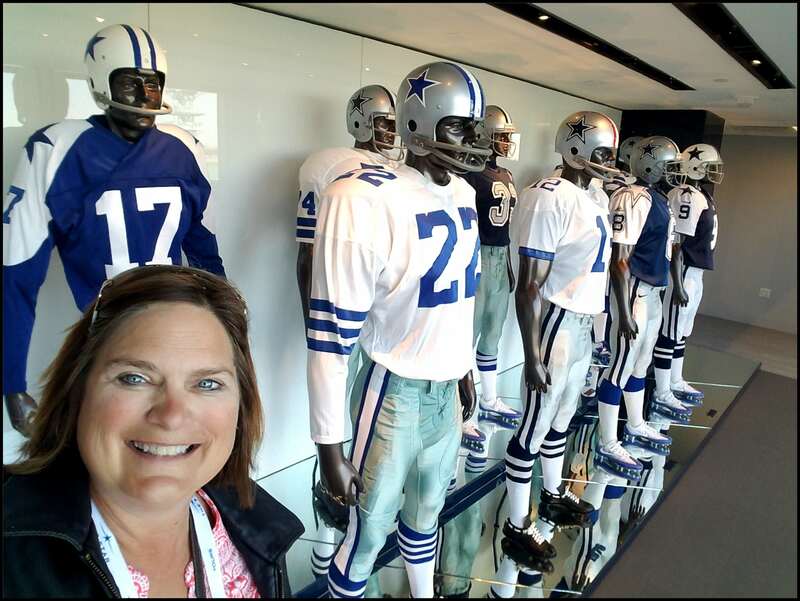 2 Responses to "How I Became A Dallas Cowboy For A Day In Frisco, Texas"
This tour was fun! Way more than I expected, as it is truly a look into a live NFL training facility. Looks like a blast to tour!